It's elementary my dear saver! Sherlock Holmes actor Benedict Cumberbatch is leading a new campaign to highlight a consumer compensation scheme if banks go bust. Radio adverts voiced by the star are part of a £3 million publicity drive by the Financial Compensation Scheme (FSCS) to boost public awareness that up to £85,000 of a consumer's savings is protected if their financial institution goes under. The compensation scheme has acknowledged that previous advertising attempts have not raised awareness to the levels it had hoped and the new publicity phase, which started in January and is running over 15 months, aims to convey a more simplified message. 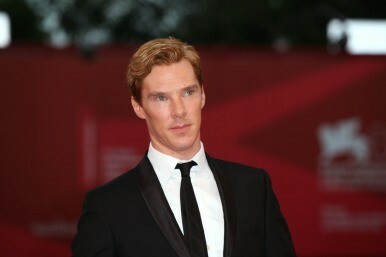 A spokesman for the scheme said it is "pleased" that Cumberbatch agreed to voice the ads. The FSCS is funded by an industry levy and the £3 million it has put aside also includes a range of print and online advertising. Previous research by the scheme published in January found that just 12% of people were aware of the compensation limits for deposits and savings in the UK. The FSCS spokesman said: "If anything happens to your bank, building society or credit union, FSCS automatically refunds savings up to £85,000 within seven days." The scheme covers savings up to £85,000 for single accounts and £170,000 for joint accounts if a financial institution goes bust. Compensation limits apply to money lost per banking licence and not per individual brand, meaning that consumers who want to remain within the limit have to know which banking groups own individual brands. New rules came into force in August last year which mean that banks, building societies and credit unions must prominently display stickers or posters publicising the compensation levels. More information about compensation limits and the adverts can be found on the FSCS website - fscs.org.uk/protected.